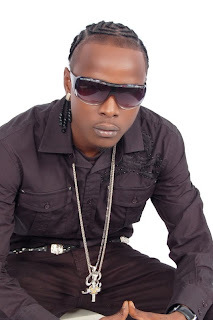 Ricardo Henry a.k.a “Ricashae” was born on October 24, 1986 in Spanish Town, Jamaica. At an early age, he discovered his love for music by gaining inspiration from some of today’s popular dancehall / reggae artist such as Beenie Man, Buju Banton Bounty Killer and also Garnet Silk, to name a few. His friends and his community recognized his talent and influenced him to start taking his music more serious. In 2001, he migrated to America to live in New York, where he spent four years and attended Samuel J. Tilden High School. He then moved to Fort Lauderdale, Florida in 2005 where he started a career in music and attained the name “Ricashae” from his colleagues. By working with local producers, his talent developed, hence, he now has a rising hit single entitled, “More money.” Which is getting heavy rotation in Florida and across the globe. Ricashae will continue to bring the public the best he has to offer and he is looking forward to working with some of the top producers in the business. Download new single "more money"